Places half the graham cracker squares on a foiled baking sheet. Place one marshmallow on each graham cracker. Heat for 3-4 minutes at 400 degrees until marshmallow starts to melt. Remove tray and place one chocolate square on top of each. Return the tray to the oven for another minute so that the chocolate starts to melt. 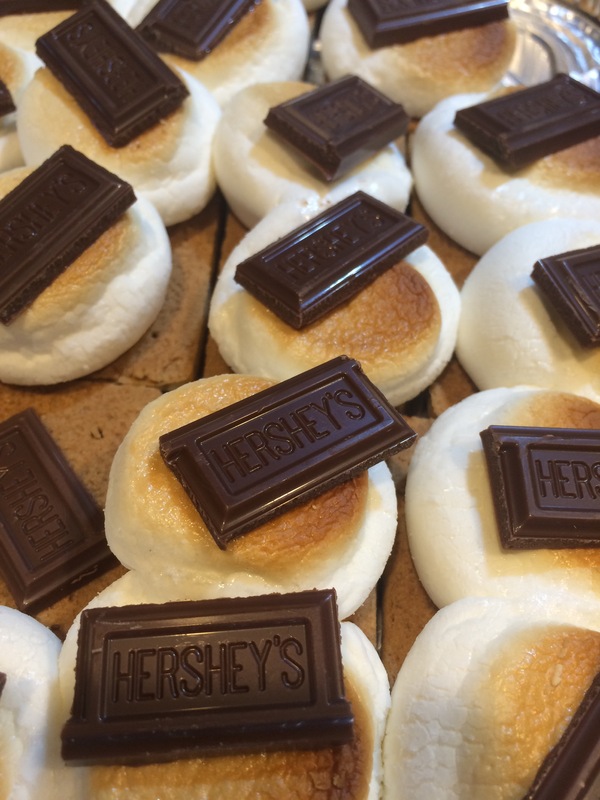 Remove the try and top each one with a remaining gram cracker to complete the s’more. Serve hot.